Coastal cruising and ocean passage making both require a great deal of preparation. Any vessel heading out to sea where assistance is hours or in many cases days away, must have specialized safety equipment appropriate to the length of the voyage. Often major modification need to be made to the boat to make it "seaworthy" or capable to contend with the demands that the the ocean may put on the vessel. Perhaps more importantly however, is the preparation of the crew, in oxford dictionary we read in the definition of "Seaworthy" that a factor of the seaworthiness of a vessel is the preparation of the crew. For example a liferaft or a EPIRB (emergency locator beacon) are very valuable aboard when out of site of land but if the crew do not know how to use them they are useless. Whether you are setting sail for a 5 year voyage around the world or just want to be prepared for any eventuality you might be confronted with coastal sailing, it is essential that all the crew know how to "hand reef and steer" as they use to say. At Griffin Bay our focus is the preparation of the crew. 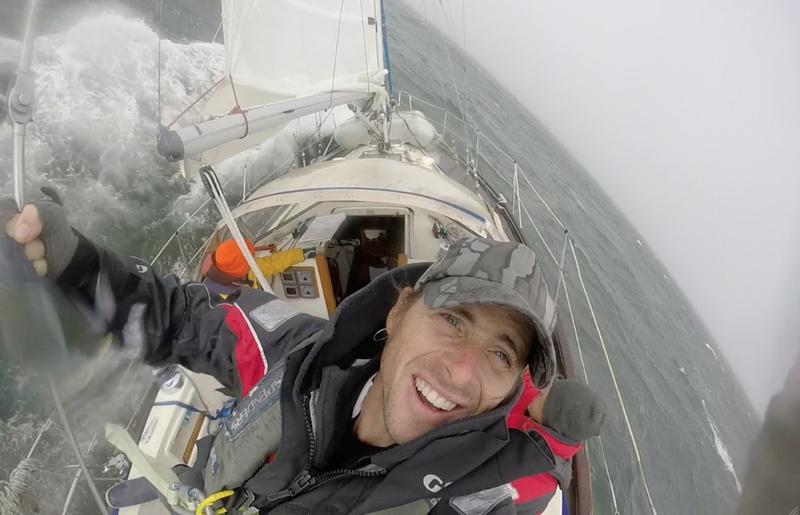 We offer American Sailing Association accredited courses to prepare sailors for the rigors of the ocean. 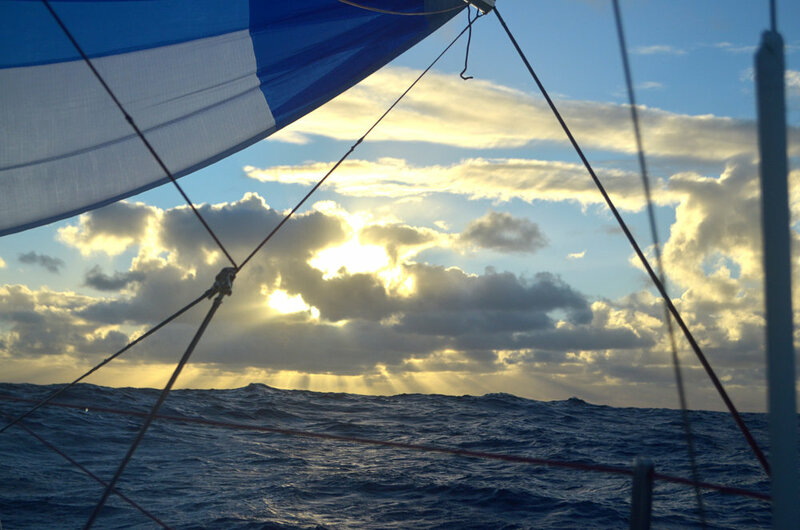 We offer Advanced coastal sailing courses in coastal waters where students can see the challenges of sailing outside of protected waters in a hands on training voyage. -Night sailing ( learn to steer by a compass or electronic wind instruments. - Everything having to do with shortening sail (heavy air headsail changes, multiple reef line reefing systems, and storm sails. - Weather and weather routing. -Preparing a vessel for the ocean. 1. Describe true and apparent wind. 2. Describe sailing forces using diagrams. Graphically find the center of effort and center of resistance of sails and keel, respectively. 3. Describe with the aid of diagrams the causes of lee and weather helm and methods of correcting them. Include the reasons for preference of slight weather helm, sail selection (including full sails or reefed sails), mast position and mast rake. 5. Describe how to use a barometer and a thermometer independently and concurrently to assist in predicting weather. 6. Describe cirrus, cirrostratus, altocumulus, stratocumulus, cumulonimbus and cumulus clouds and the weather expected to be associated with each. 7. Describe local weather in relation to thermal winds and prevailing winds. 8. Describe three sources of weather information available in the United States. 9. Describe the proper selection of sails on a given boat for all weather conditions and give reasons for the selection made. 12. Describe the methods for rafting at anchor and the possible risks with day and night rafting. 13. Describe how to prevent the dinghy/tender from riding up and bumping the vessel’s hull while anchored at night. 14. Describe procedures for securing a boat overnight with one anchor and stern made fast to a dock or shoreline. 15. Describe two methods of using a second anchor to reduce swinging. 16. Describe four different methods of recovering an anchor that is fouled on the bottom. 17. Describe when and how to use a trip line and an anchor buoy. 18. Describe when and how to set an anchor watch and the responsibilities of the crew on watch. 20. List 8 of the 16 International Distress Signals found in Rule 37 of the USCG Navigation Rules and Regulations Handbook. 23. State the fuel tank capacity and range of a typical 40-foot cruising sailboat and the factors that could affect its range. 24. State the water tank capacity of a typical 40-foot cruising sailboat and the minimum water requirement per person. Offering assistance to yachtsmen in trouble. 26. List the documents required and the procedures followed when leaving and entering U.S. territorial waters. 28. Describe when and how to carry out an oil change. 30. Describe recommended permanent and temporary installation methods of grounding for lightning. 31. List factors to be considered before allowing anyone to go swimming while the boat is at anchor. 32. Describe the danger of overhead power lines. 33. Describe the uses, capabilities and limitations of a portable radar reflector. 34. Perform the duties of skipper and crew on a liveaboard coastal cruise of at least 48 hours, including night sailing. 35. As helmsman, demonstrate the proper techniques of beating, reaching, running, tacking, jibing, heading up, bearing away and luffing in approximately 20 knots of wind. 36. Work to weather to best advantage accounting for wind shifts, tides, current and local geography. 37. Sail a compass course within +/- 10 degrees with sails trimmed. 38. Demonstrate correct methods of towing a dinghy. 39. Demonstrate a person in water (Man Overboard or MOB) recovery maneuver while sailing at night. 40. Anchor, weigh anchor, pick up and cast off moorings while acting as helmsman and/or crew. 41. Demonstrate how to take a sounding using two different methods. 42. Stand a navigation watch during a passage of at least 20 miles by night and 20 miles by day and demonstrate all of the skills elements in ASA 105, Coastal Navigation. 43. (Optional) Demonstrate correct procedures for hoisting, setting, trimming, jibing, dousing and packing a spinnaker.